Home > Mare's Musings • Mark Your Calendar!!! > Arabian Horses Will Race Today, Breeders’ Cup Friday. Race 11: You Love, You Bet–Everyone Wins. Arabian Horses Will Race Today, Breeders’ Cup Friday. Race 11: You Love, You Bet–Everyone Wins. Happy Breeders’ Cup Friday: November 1, 2013. I could write an entire book about how the BC has become bloated–about the fact that f!llies and mares–like women in horse racing–are tossed into the back seat. Again. 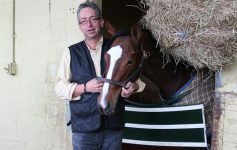 But today’s column is my effort to get you, the race fan–the betting public–the lover of horses, and of the sport of racing them–to watch a race that will split your hearts wide-open. A race on which you can BET your brains out. A race of beautiful, elegant, historic horses–the very foundation of the Thoroughbred breed. Without Arabian horses, Thoroughbreds would not exist. If you’re a real race fan, you know this fact. Without the Darley Arabian, the Godolphin Arabian and the Byerley Turk–no Thoroughbred, no way, no how. The reasons for Mr.s Darley, Godolphin and Byerley’s use of the breed when concocting their lab horses was that, for 5000 years, the Arab horse has exhibited traits that were important in the creation of the new Thoroughbred breed: Arab horses are intelligent–brilliant, really. Loyal, fast and eager to do whatever their humans ask of them. They’re companionable, friendly and fun. So the Thoroughbred came into being, and it seemed that the Arabian horse world and the Thoroughbred worlds took different directions. Not so. Arabian horses race. Arabian horses are beautiful, elegant–and watching them race is sheer joy. Watching a race of Arabians is like watching 5000 years of history unfolding before your very eyes. 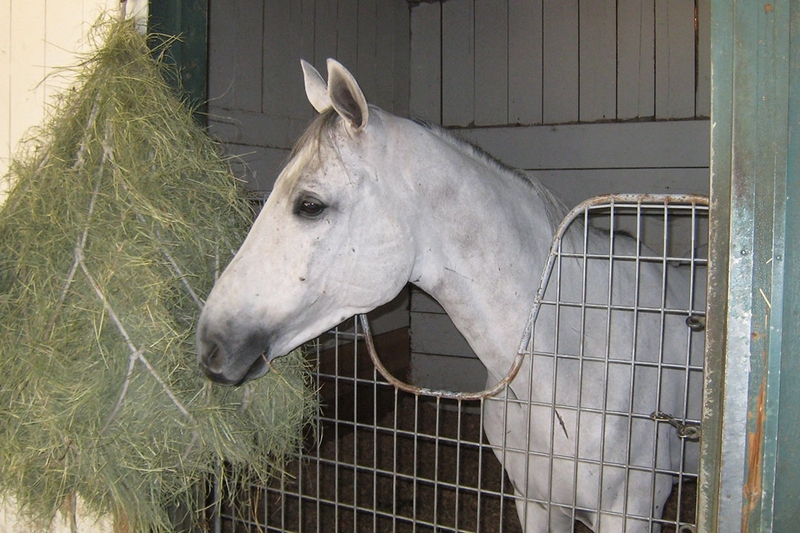 I wept my guts out the first time I saw an Arabian race, live, at Delaware Park in 2011. Well–GREAT news! If you plan to watch the Breeders’ Cup races today–Friday, November 1–you can see Arabians race. You’ll see horses who look a little different–but who still love to run, who put their hearts into it–and wow, you can BET on them. Now, this is an important point that you must understand: in the enlightened world of Arabian horse racing, f!llies, mares, colts, horses and geldings race against each other. On a regular basis. There’s none of the ridiculous American misogyny against females, or ageism against “older” horses, that exist in Thoroughbred racing. President of the United Arab Emirates Cup Invitational Stakes. This is not an “also” race. This is not a claimer race, or an exhibition. It’s not a race for maidens, or for horses who are untested. This is an invitational, just as important as any other Breeders’ Cup race. This race is for horses who rock, horses who are worthy of your respect–and love. And check this out: precisely because it’s an invitational–and some of the BEST racing Arabians in the world were invited to Santa Anita–they were invited regardless of gender or age. The best Arabs happen to be male, female, cut, uncut, younger, older. That’s just how the Arabian racing world rolls: no -isms. Wow–look at the range there–and every single one of these horses deserve to be in this race. They traveled from all over the country–from all over the world. They didn’t come here–their connections didn’t spend all that money to ship–just for fun. They came to compete, and to be taken seriously. You should take them seriously. You should bet on them. 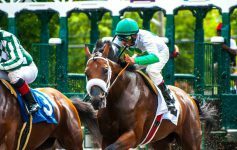 I’m aware that fans of Thoroughbred racing may not know how to handicap Arabian racing–and that’s probably something that the Arabian Jockey Club and IFAHR (International Federation of Arabian Horse Racing Authorities) –should address. Marketing to seasoned Thoroughbred racing handicappers, and handicapping instruction for newbies, should become part of their plans for the future. 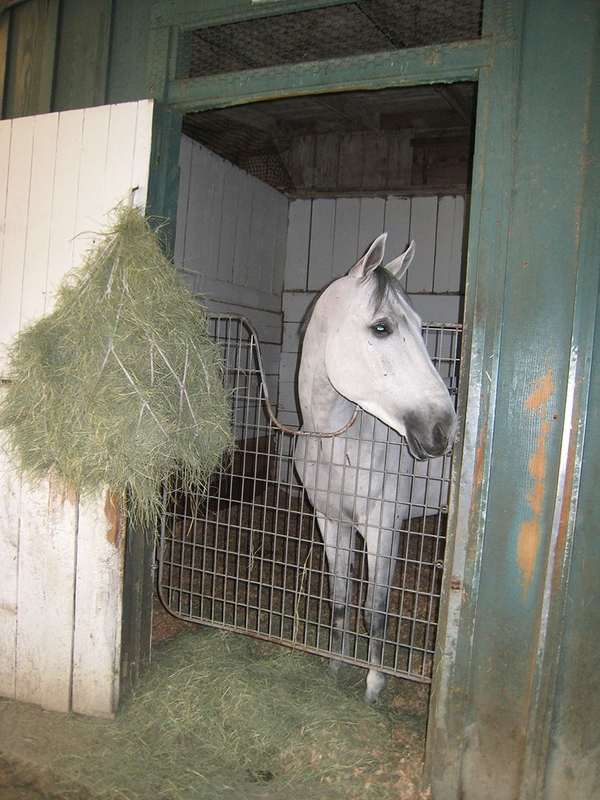 But for now–until you learn the ins and outs of handicapping Arabian race horses–bet on a horse because you like grays. Or because you dig the name, or the place of origin. Or because a horse is a longshot. Perhaps Grilla is your fave–Ann Henry, a wonderful horsewoman who owns an Arabian f!lly who’s first cousin to Grilla. A good bet there–family connections, and Grilla is a rock star. 🙂 Ann also expects Smoke House to do well. http://www.timeanddate.com/worldclock/So now you have no excuse. You can watch online, you can bet online. You can go online and fall in love with Arabian horses, and the sport of racing them. If you love horse racing, and you’re one of those fans who whines that the sport needs to figure out how to grow–well, pal, you’ve been overlooking the most obvious idea. 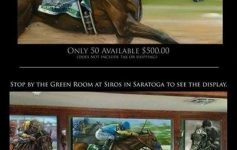 Don’t bug NYRA to host infield parties for drunks–they’ll never bet. They don’t even know that horses are racing on the oval around them–and they don’t care. Don’t come up with a million idiotic ideas, and then trash NYRA, or Magna, or CDI when they don’t comply. Acknowledge the fact that Arabians are The Original Race Horse. And that there’s not a race track in the United States that can’t accommodate races of Arabians on a regular basis. More horses to love, more horses to bet. Fall in love today with Arabian horse racing–then take the stupid ideas that too many fan groups put forth–and toss them into the trash. Instead, campaign for your local tracks and your state racing commissions to invite Arabian horses to race. Arabian horses are beautiful and majestic–and they don’t just stand still, posing for pictures. Arabians race–you can bet on it. Next Article Perceptions, Part 1: Desiree Gill and Simone Montgomerie: Warrior Women, Jockeys, Alphas Extraordinaire.